Most of traditional financial literature is dedicated toward methods of investing that can be used to preserve wealth and generate returns on your investment. In most cases, these are laudable goals that command the attention of both new and veteran investors. However, there is a fundamental question that is frequently unanswered by such strategies and methods. This fundamental question is how one goes about getting the capital that is necessary to invest. Many of the people who are most keenly interested in investing have not built the necessary credit or capital to begin an investing career. It can be extremely frustrating to learn all of the fundamental principles of success, only to find that you lack the capacity to put those principals into practice. 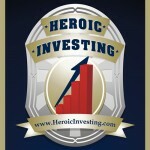 For people that find themselves in this situation, it is important to find something that they can do immediately to start moving toward a successful investing career. 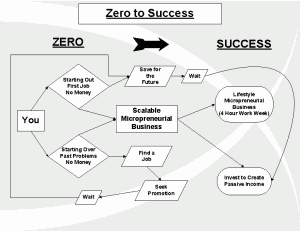 One of the things that anybody can do immediately is to start a small or micro entrepreneurial business. By finding something that you can immediately begin doing to earn additional money, it will allow you to improve your financial position or begin accumulating the necessary capital for an investment program. The benefit of starting out as a ‘micropreneur’ is the avoidance of overhead that can emerge from traditional business ventures that involve employees, a storefront, or a factory. 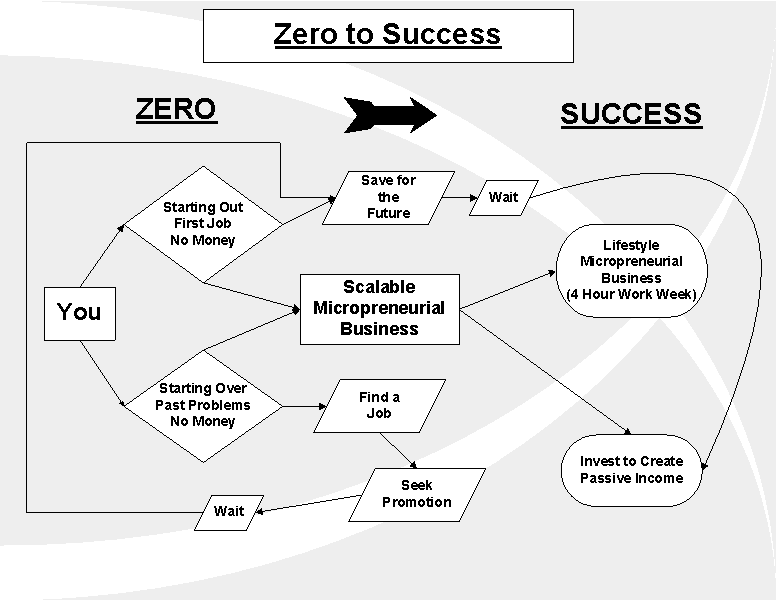 As a micropreneur, you are free to find a small market niche that you can begin to act on immediately. This could be something simple like running errands for neighbors or could take the form of creating content or advertising copy for other businesses. The important point of these ventures is that you start producing income immediately, without the need to spend large amounts of capital on buildings, inventory, employees, or other overhead items that other businesses must pay for. This can provide a significant advantage, since many start-up businesses require a capital base that they will ‘burn’ through while attempting to reach profitability. As a micropreneur, you have the freedom to start a small venture that produces positive profits from the very beginning. By avoiding the overhead that handicaps other businesses, it will leave you free to adjust strategy ‘on the fly’ and quickly adapt to capture new market opportunities. It is certainly true that growing your business will probably require capital investments, but it will be much easier to attract that capital when you have a documented history of revenue growth and positive profits. 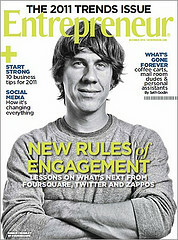 One of the greatest areas of opportunity for ventures as a micropreneur is web-based marketing and content creation. The power of these business segments is that they allow you to use the power of the internet to leverage your time and efforts by taking advantage of the continual innovations in technology. These innovations have allowed many business owners to automate their business activities, reduce overhead expenses by operating in a ‘virtual’ office with no employees, eliminate inventory costs by distributing content electronically and maximize business flexibility by quickly moving into new areas of opportunity. When engaged in business as a micropreneur, it is reasonable to produce an additional $500 to $1,000 per month of additional income within a relatively short period of time. For most people, that additional money can change their lives. If you have been struggling to stay ahead of you credit card balance, this supplemental income can help to eliminate your consumer debt. If you purchased a home at the market peak and are now facing the risk of default or foreclosure, this may provide the ‘staying power’ that you need to ride out the current market cycle and sell when values are more attractive. If you are just starting your career and trying to succeed without capital, this can provide the funding you need to move into your first deal. Once your first deal is complete, your financial intelligence will most likely guide you toward additional deals. As you gain investing experience, credit and capital will become easier to acquire. As a micropreneur, you will be continually generating more capital to finance these additional deals. Eventually, you will be able to use the proceeds of selling or refinancing past deals to fund new deals. As your financial intelligence builds, it will guide you to continue compounding your wealth until all the success that you have ever dreamed of becomes a reality. Thus, the journey from ‘zero to success’ is one that almost anybody can take. The only necessary factors are financial intelligence, and the courage to take action. As a subscriber to the Financial Freedom Report, you are already developing robust financial intelligence. The next step is to take action and create a business or initiate another deal. Nobody will ever be more interested in your success than you, and the only real barriers to accomplishing your dreams are the ones that you choose to acknowledge.